The broad purpose of a trust is simple: to help families control how assets such as cash, investments or property are handed over to the next generation. Trusts have been around for hundreds of years and can play an important role in planning for the future. With families becoming more complex, trusts can help to smooth out financial issues, clarify inheritance intentions and avoid disputes. There is no limit on the amount that can be placed in trust, so you can ring fence large sums. But be aware that if the value of assets you transfer into trust exceeds your nil rate inheritance tax (IHT) band (currently £325,000) then it will be subject to IHT at 20 per cent. That said, inheritance tax law gives you annual allowances for small financial gifts, so you can put these sums into a trust rather than give them directly to individuals; this is especially suitable if you want to give regularly to young children. A trust is a legal entity which allows someone (the ‘settlor’) to give property to another party (the ‘trustee’) to hold for the benefit of one or more persons (the ‘beneficiaries’). There can be more than one beneficiary – individuals, a specified group or a whole family. They can benefit in various ways, such as receiving income (maybe from renting out a house held in the trust), or capital only (being given shares held in a trust when they reach a certain age) or getting both income and capital from the trust. 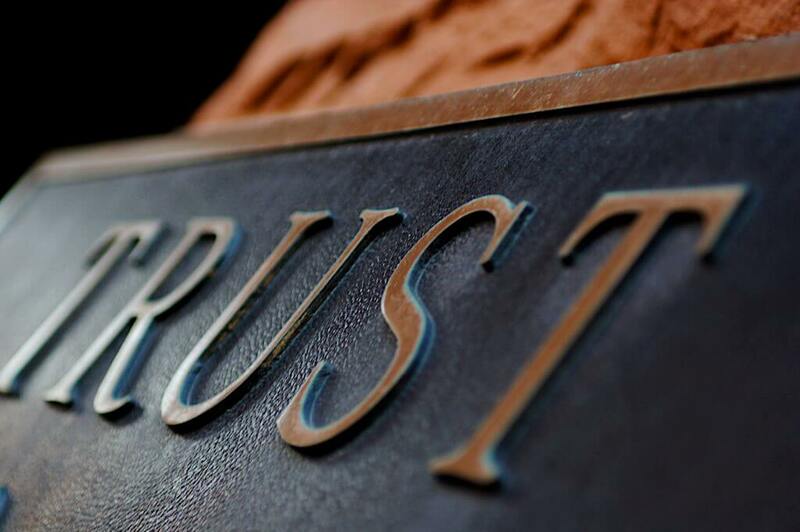 There are different types of trusts, each taxed differently. One of the simplest forms of trust is a bare trust, where the beneficiary is entitled to capital and income, and can take ownership of the assets if they are legally able to do so (that is, aged 18 or over and ‘of sound mind’). Families often use bare trusts to hold shares for children under the age of 18. You can set up a trust during your lifetime or it can be set up in the event of death by your Will (or by statute if there is no Will and only minor beneficiaries). How can trusts be used to plan for care? We are all living longer and trusts can help families prepare for a future which may involve the costs of long term care. Where spouses/civil partners own their home as ‘tenants in common’ (meaning they both own an equal share), they can gift that share to the other partner in trust in their Will. The surviving spouse can then go on living in the family home or buy somewhere more suitable. And if the surviving partner needs long term care outside the home, then the half share of the property belonging to the trust can be invested to provide an income which can be used for care homes fees, while the capital remains protected for children, grandchildren or other beneficiaries. Trustees (who can also be beneficiaries) become the legal owners of the assets held in the trust. They are personally liable and must manage the trust on a day to day basis and make decisions about its assets. If you are asked to be a trustee, check in advance what will be required of you before you say yes. These days it’s very common for a couple who are not married or in a civil partnership to buy a home together and each contribute unequal sums towards the purchase. To avoid problems further down the line, such buyers should seriously consider a ‘declaration of trust’. It will set out who is responsible for the mortgage repayments and household bills, and what happens to the property and any sale proceeds if the relationship ends. To speak to a trusts solicitor in Bristol or South Gloucestershire for advice on planning your estate, call us on 0117 325 2929 or complete our online enquiry form.